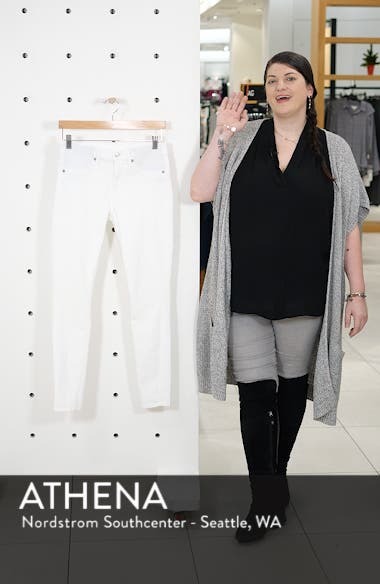 Cut from clean white stretch denim, these svelte skinny jeans feature elastic panels at the waistband for a comfortable fit throughout your pregnancy. Choose a sizeTrue to size. 23=00, 24=0, 25=2, 26=4, 27=6, 28=8, 29=8-10, 30=10, 31=12, 32=12-14.